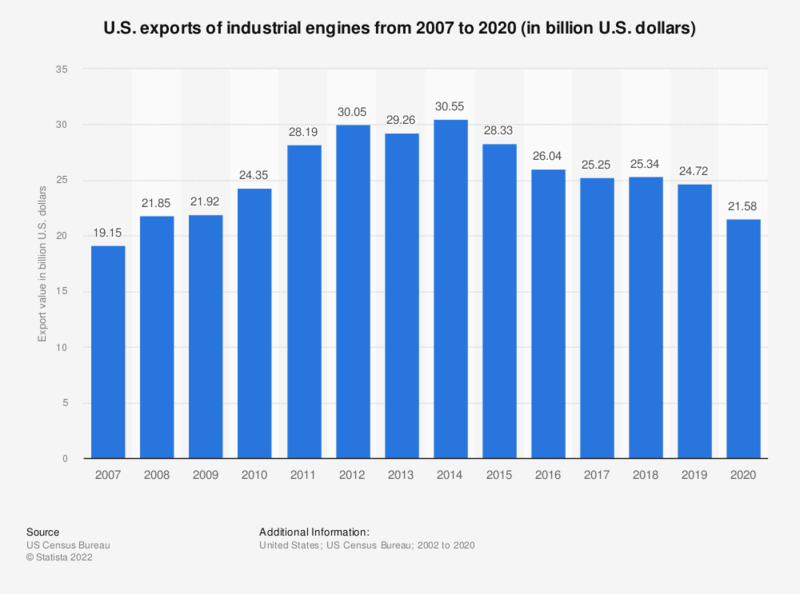 This statistic represents the value of U.S. industrial engine exports from 2007 through 2019. In 2019, the United States exported industrial engines to the value of approximately 25 billion U.S. dollars. The figure for 2015 has been updated according to the most recent publication. The values for 2007 and 2008 were taken from previous editions.